 Kit Carlier Design is a prominent marine design studio based in beautiful New Zealand – a nation renowned for its love of the water, passion for boat building and sailing prowess. 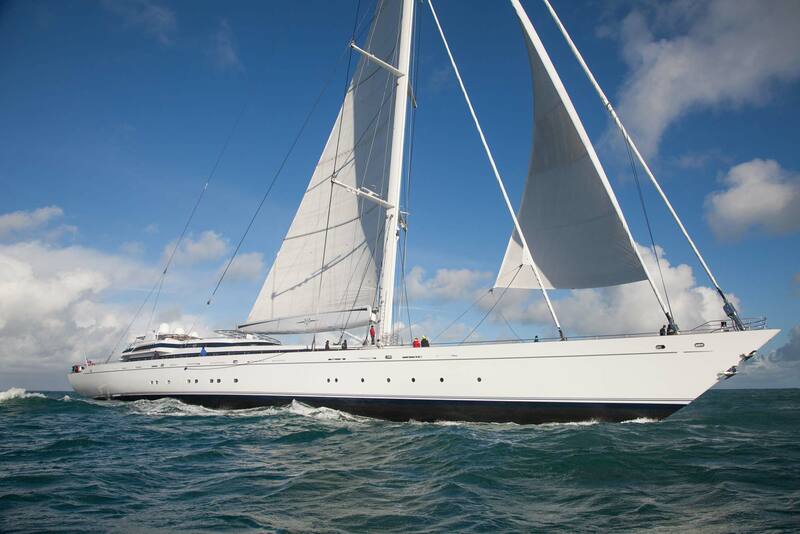 Backed by a team with diverse expertise in the demanding superyacht industry. 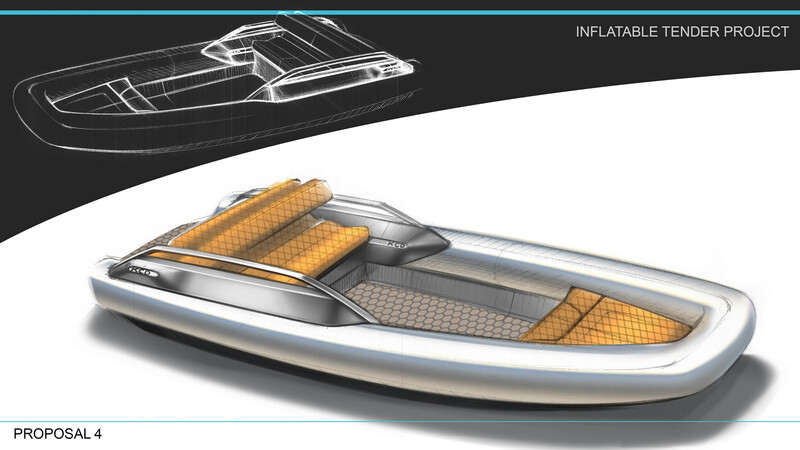 Kit Carlier Design delivers a complete marine-specific design service. Kit Carlier Design cover all aspects required for a successful project, whether you require a new yacht build or refit, the creation of a bespoke and innovative interior and/or exterior yacht design, leadership through the many technical hurdles of yacht design, manufacturing drawings and CNC files, project and yard support or simply the dressing and styling of the vessel. With a growing global clientele list, Kit and his team are pleased to travel where needed and provide continual support throughout the project. 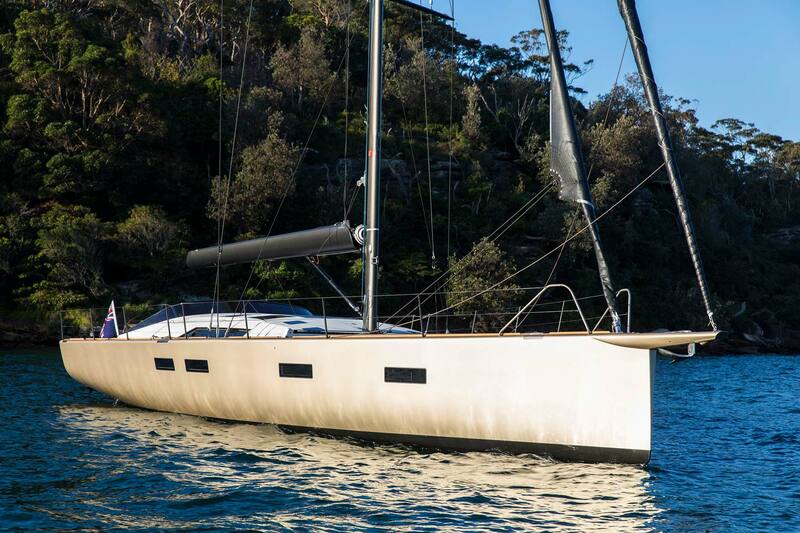 Shearwater, a stunning 57 foot carbon electric propulsion high-performance cruiser was launched in Sydney recently after a three-year build. 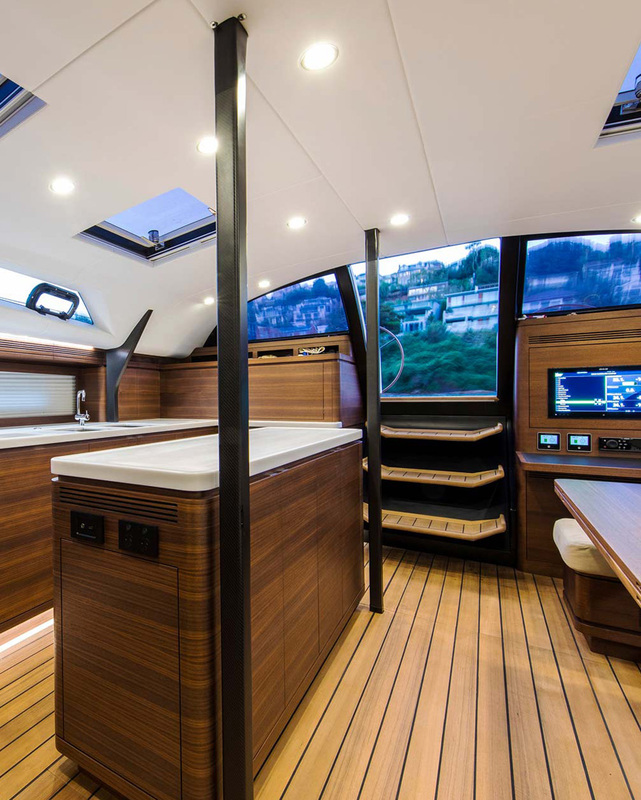 The key structural elements of this extreme-performance yacht, including the ability to be sailed single-handed, were blended with a soft palette of luxurious and natural interior finishings. This included the pairing of natural teak flooring with rich, walnut cabinetry and matte-finished carbon features. A modern update on a classic Ralph Lauren inspired gentleman’s yacht club. 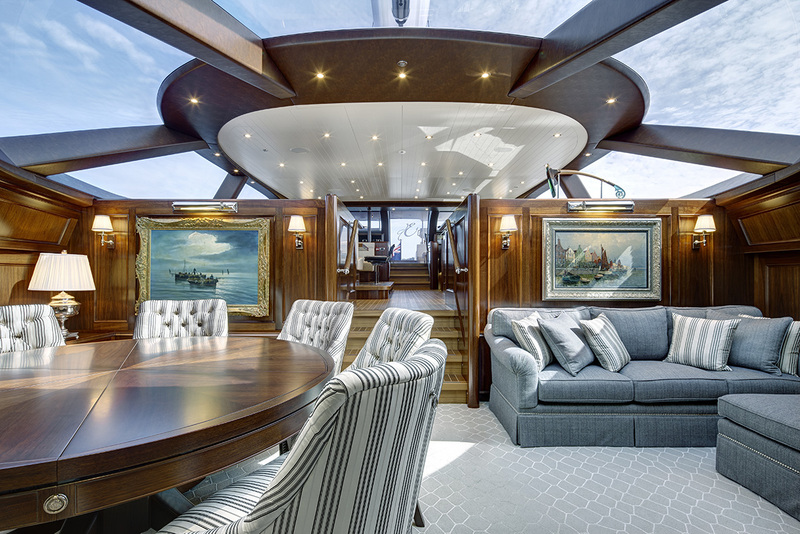 For this project it was very important to the owner’s that all of the styling and materials throughout both the interior and exterior of the yacht were considered in unison. Working closely with Guillermo Martinez at Ralph Lauren in New York, all of the furniture and mirrors throughout the ensuites were customised especially to suit the proportions of the yachts interior. 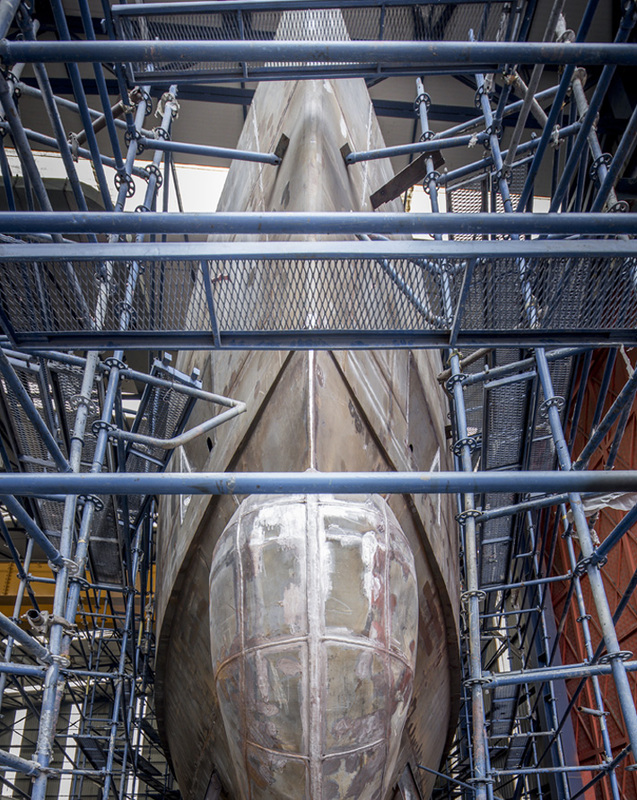 Kit Carlier Design was directly engaged to undertake the interior design refit work on the M5 (Ex Mirabella V) super yacht – the largest single masted yacht ever built. 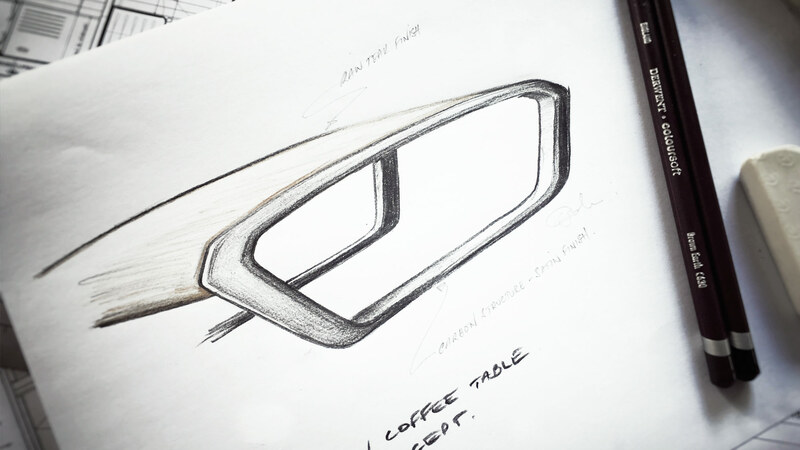 Kit Carlier founded Kit Carlier Design studio in 2014 following an established career in the marine industry. 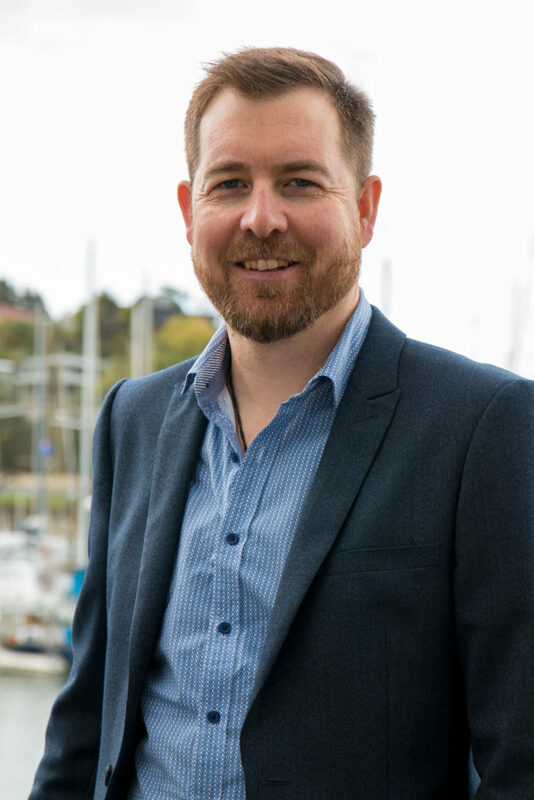 With a background as a qualified boat builder, project manager and lead designer for many iconic yards and projects, Kit brings a wealth of knowledge and experience to each bespoke project. 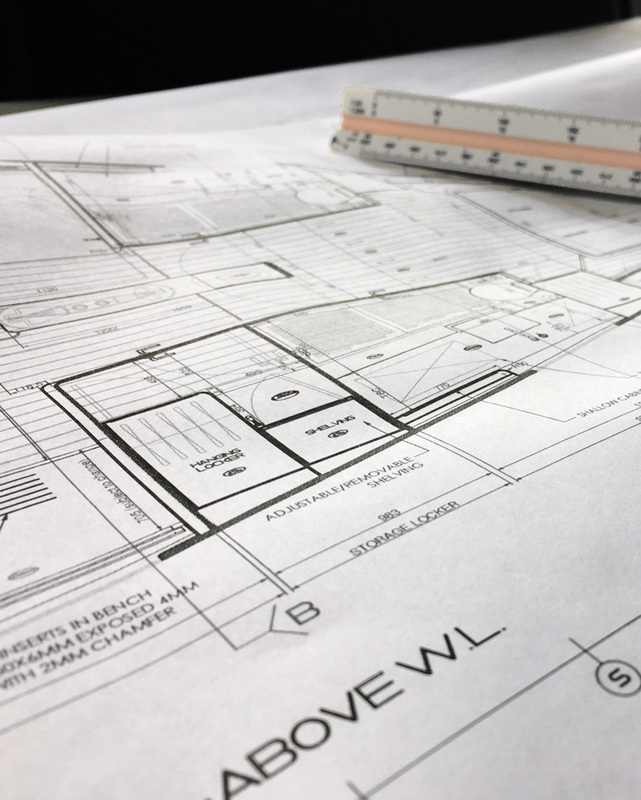 Supported by a team of talented designers, Kit Carlier Design offers a specialised service which encompasses all elements required to produce a successful, first class project. 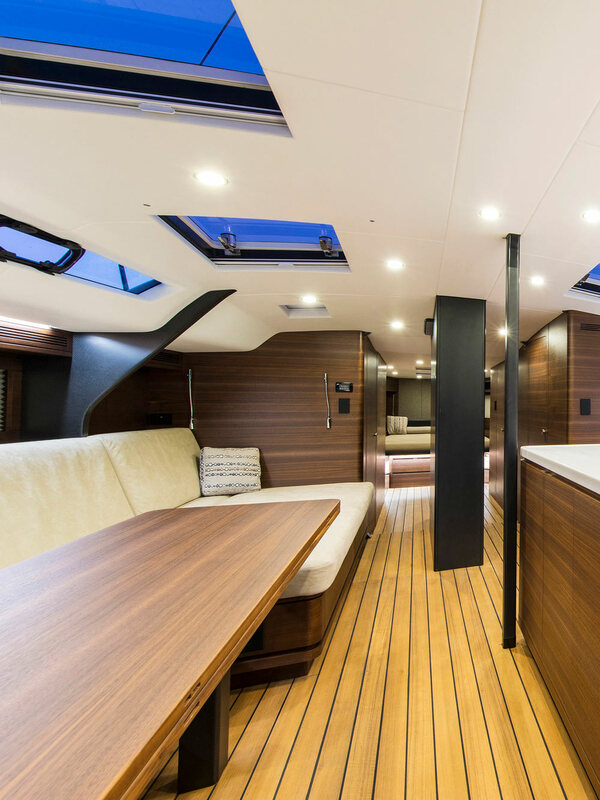 Exterior yacht design services, together with industry-leading interior yacht design and complete client, yard and project support, ensure Kit Carlier Design is the company to take care of your build. Services include everything from 3D renderings, the selection of a yard, pre-engineering analysis, vessel structure, interior structure and fit out, dressing of the vessel and finally the completion of the project. Throughout your project, our primary consideration is you, the client, with every detail tailored to you. 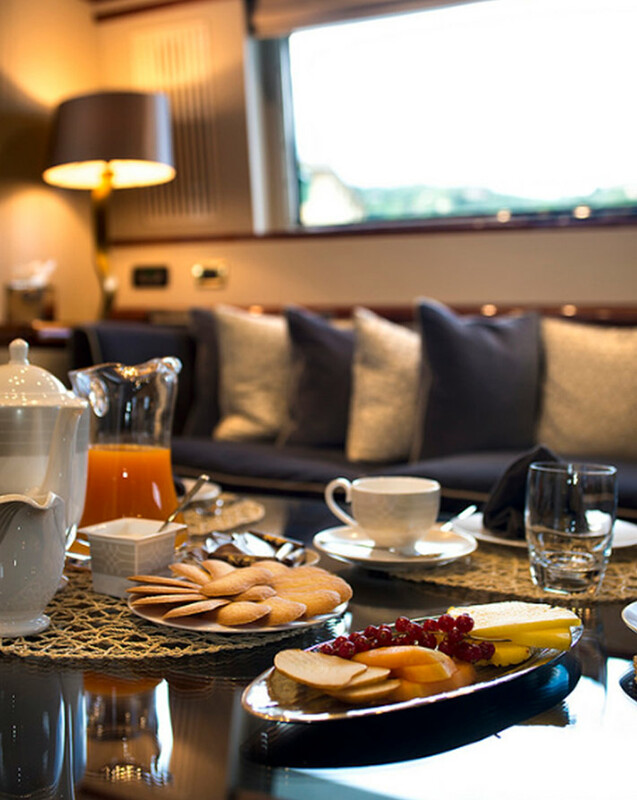 From sailing yachts to motor yachts, and contemporary to classic, each client brings with them a specific brief and the opportunity for Kit Carlier and his team to turn their dreams into reality. Kit and his team are driven by the challenges that come with each new build or refit. Together they relish the opportunity to create something personal and bespoke – something that will tell a story, reflect dreams and age gracefully. Drawing from and ever-growing list of suppliers, manufacturers and industry leaders, we are able to put together the best combination and team to undertake your project.